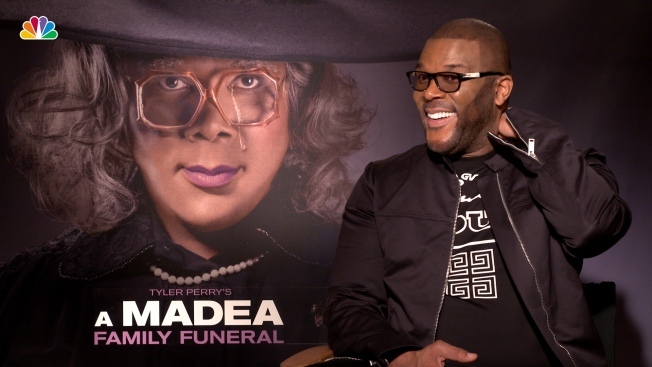 Actor, Director Tyler Perry has announced the upcoming film "A Madea Family Funeral" will be the swan song for the beloved character that he has portrayed in multiple films that have earned nearly $500 million at the box office. Perry said he felt the time was right to move on to new projects. Get your hankies out America... and get ready to say goodbye to everyone's favorite foul-mouthed, wisecracking grandma. After 11 plays and 12 films that have grossed $496 million and counting, Tyler Perry is putting Madea out to pasture following the forthcoming "A Madea Family Funeral." Perry, who's acting roles also include parts in 2014's Ben Affleck thriller "Gone Girl" and the current Oscar-nominated "Vice" where he plays Colin Powell opposite Christian Bale, admits to being a bit nostalgic about walking away from his signature character, but believes it's the right time. Perry believes Madea has etched out a place in cinematic history that, much like the character, might not be entirely expected but has meant a lot to audiences. “I think lots of people found a voice through Madea and the thing that makes me happiest is that Madea has given people some really good, fun times and given entire families a way to laugh together,” he says. "A Madea Family Funeral" hits theaters Feb. 28.